Special Market Outlook | Rocco & Associates Wealth Management, Inc.
Our investment committee recently sat down to discuss the current state of the markets, and the question we posed as a group was, “What can we do for our clients?” I wanted to share this with you because our conversation went much deeper than “market fundamentals” or “technical analysis,” but really centered on how we can help you. Our answer is three fold: 1) below we will give you our opinion on the start of 2016, 2) we are going to look at investments that have capital losses and use those losses to generate positive tax benefits, and 3) we are going meet more frequently with the mutual fund companies that run the funds we use in your accounts to make sure that each fund is still aligned with your overall investment goals. First it is important to understand our view of the market. We believe that the volatility we have been experiencing is the combination of a number of market forces working against us. There is extreme volatility in China, low oil prices, trouble in the high yield bond market, unrest in the Middle East, and rising interest rates, all occurring simultaneously. These forces are making all investors, from your average family saving for retirement to the largest hedge funds, nervous. The nerves are forcing large investors to make changes in their portfolios. When done by a few investors these moves don’t create many waves. However, when everyone is taking the same cautious steps the market suffers. Our team still believe that the U.S. economy is strong. Unemployment is at 5% and consumer spending is at an all-time high. However, it is yet to be seen whether the U.S. economy can insulate itself from the weaker global market. This battle between our fundamental strength and problems with the global economy will continue to create volatility in the near term. But for every down swing there will be an upswing, and we believe that our commitment to long term investing will pay off in time for all our clients. In the meantime, we will be reaching out to those clients who can benefit from the market volatility. Capital losses1 can be taken in non-retirement accounts, and can offset any capital gains you incur in the same year. Further, up to $3,000 of taxable income per year on your tax return can be offset by capital losses. Losses in excess of $3,000 can be carried forward into the future and can offset income every year until the entire amount of the loss has been used. By selling investments for a loss we can hopefully offset your tax bill, which will in turn help to offset the losses you have in the market. 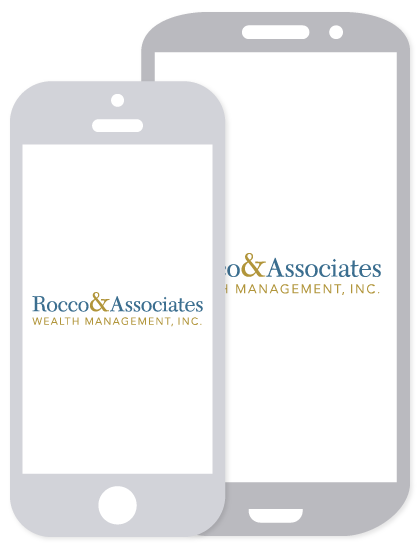 At Rocco & Associates our investment committee meets every quarter and every time the market moves 5%, which is what triggered our most recent meeting. Our committee is regularly seeking input from our mutual fund partners to better understand how their funds are performing. We use this information to make sure these funds fit with not only your investment objectives, but also your long term goals. By meeting more frequently we will be even more in tune with the movements of these funds, and will be ready for change if we sense that any of this short term volatility will turn into long term problems. We hope this update answers some questions for you, but, as always, if you have any questions about the markets, or how your plan is performing, do not hesitate to reach out. The economic forecasts set forth in the presentation may not develop as predicted and there can be no guarantee that strategies promoted will be successful. Investing in a specific sector involves additional risk and will be subject to greater volatility than investing more broadly. 1 The loss incurred when a capital asset (investment or real estate) decreases in value. This loss is not realized until the asset is sold for a price that is lower than the original purchase price.